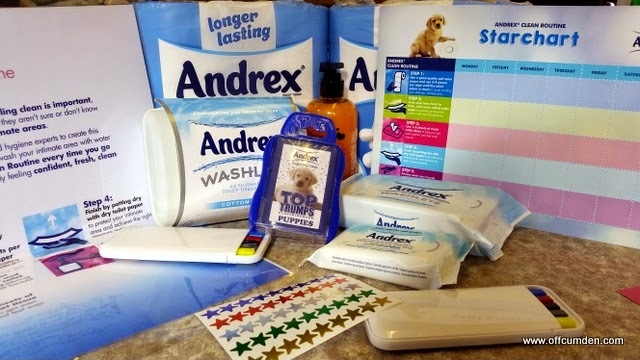 We were recently asked to take part in the Andrex Clean Challenge. 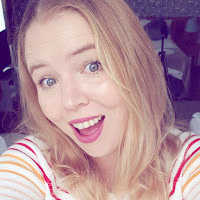 It came at a good time as we had all recently been struck down by a vomiting bug and I hoped that possibly a change in the children's hygiene routine would have an impact on this. I thought that perhaps there was more we could learn about personal hygiene. Andrex recently carried out a new health report and the results show that "an estimated 15 million Brits are unsure how to clean themselves properly after going to the toilet." I found this quite shocking. Although I don't remember being taught to wipe my bottom, but for as long as I can remember, I knew that you should wipe front to back to lower the risk of infection. 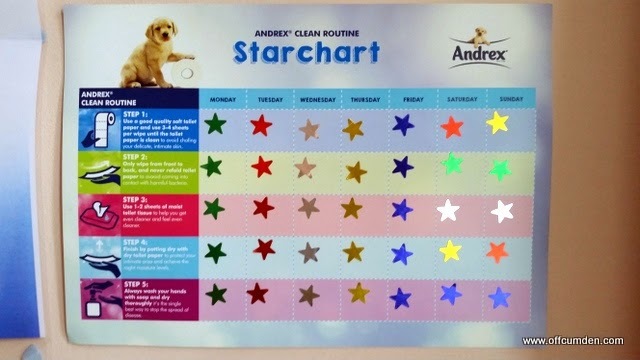 However, when I read through what we needed to do in the challenge, I realised that I do fold paper over and I do use far less paper than is recommended by Andrex. The comprehensive study into the bathroom habits of the nation reported the alarming statistic that almost a third of Brits (29%) felt they could be cleaner after going to the toilet. Despite 97% saying that being and feeling clean is important to them, the report revealed that 37% are wiping themselves incorrectly (15% wipe back to front, 22% wipe both ways.). In response to the research findings, Andrex® has developed the Andrex® Clean Routine in partnership with healthcare professionals. It’s a simple five-step routine designed to improve everyone’s understanding of the best way to clean themselves, and also to help people feel cleaner after going to the toilet. 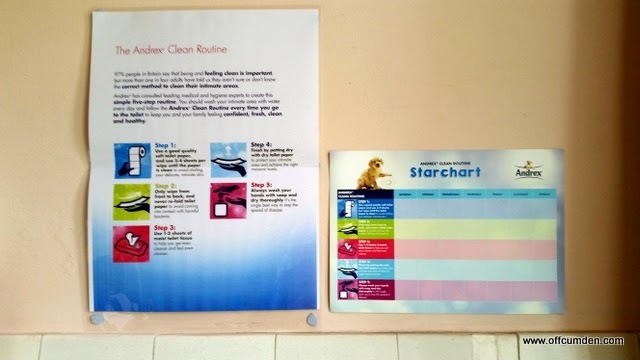 So we were ready to being, with our instructions and our star chart next to the toilet. I was impressed with our children and how well they took to the new routine. A lot of the things we were already doing, but we hadn't been using as much toilet roll and we also hadn't used any moist tissue before. Use a good quality soft toilet paper, and use 3-4 sheets per wipe until the paper is clean to avoid chafing your delicate skin. Only wipe from front to back, and never re-fold toilet paper to avoid coming into contact with harmful bacteria. Use 1-2 sheets of moist toilet tissue to help you get even cleaner and feel even cleaner. Finish by patting dry with dry toilet paper to protect your intimate area and achieve the right moisture levels. Always wash your hands with soap and dry thoroughly it's the single best way to stop the spread of disease. We followed the routine for a week and I was impressed that the children stuck with it. I am still not convinced that you need to use quite as much toilet paper as is suggested in the routine. Part of me thinks that is just a waste of toilet roll. Perhaps that's just me! 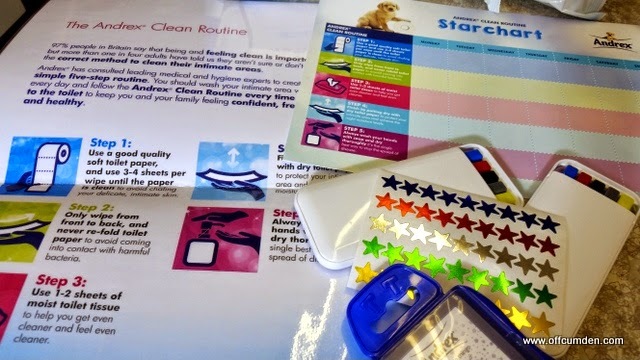 We hadn't used the moist tissue before but actually this was really useful for the children, especially when they were cleaning themselves, because it got them a lot cleaner using far less tissue. This is definitely something we will keep up with from the routine. We have continued with the routine at home and it has really encouraged the children to think about their routine. It's important that we discuss bathroom hygiene with our children. It stops the spread of germs and leaves them feeling clean, happy and healthy. Disclosure: We received the Clean Routine pack shown above and a voucher for a family day out for the purpose of this review. This had no impact on my post.